Berry is sending Dr. Goldthwait's address; she has heard he completely cured a woman of her severe arthritis. She informs Wingo of a request from the Girls School students that Miss Smith not be allowed to return and asks for Wingo's opinion. 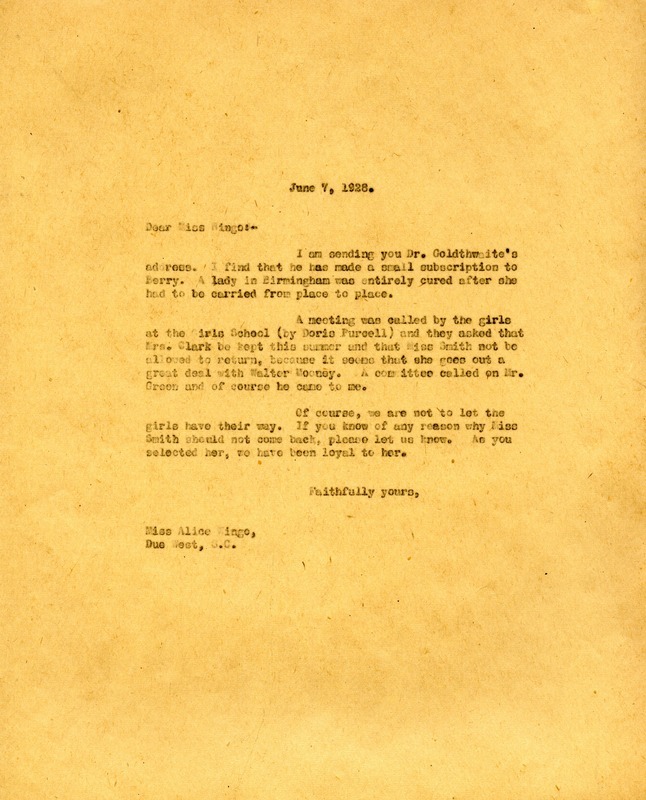 Martha Berry, “Letter to Alice Wingo from Martha Berry.” Martha Berry Digital Archive. Eds. Schlitz, Stephanie A., Sherre Harrington, et al. Mount Berry: Berry College, 2012. accessed April 21, 2019, https://mbda.berry.edu/items/show/9321.